Here at Anderson Family Dental, our Milwaukie dentist Corinne Anderson DMD will examine your teeth thoroughly. She will also observe your health and dental history just in case of any allergies or any sensitivity. This is an important part to having a professional teeth whitening procedure as opposed to home bleaching kits. Whitening your teeth starts by applying a high concentration of oxidizing agent on your teeth. At this point, our Milwaukie dentist will apply gel on your teeth with thin plastic trays for a very short period. This will produce some very quick results. The bleaching gel is on trays fitted just for the shape of your teeth. This will ensure even and full tooth exposure to the gel. Our Milwaukie cosmetic dentist Corinne Anderson DMD will also show you a tooth guide as to the difference in the color of your teeth. 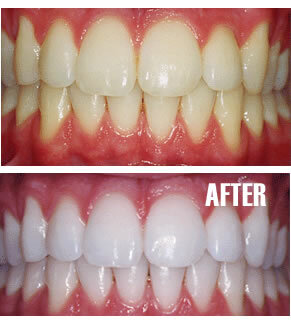 If a whiter smile is what you are looking for you cannot go wrong with a professional teeth whitening. Do you need teeth whitening? Contact Anderson Family Dental today for a free assessment !